Laxmi Stuti, Praise of Mata Lakshmi, which was spoken by Lord Indra, is the source of all affluence. In this world, poverty never dwells among those who Recite this Stuti daily. 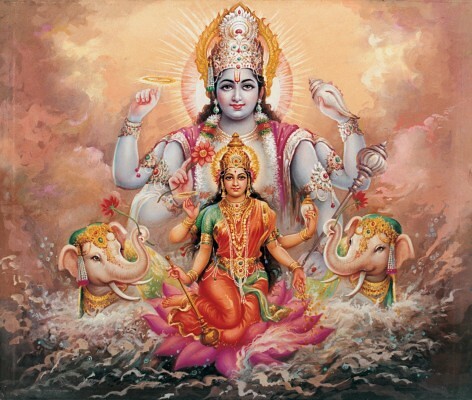 Indra (the demigod king of heaven) said, "I offer my obeisances unto the lotus-born mother of all beings, unto Sri (the Goddess of fortune), having full-blown lotus-like eyes, and reposing in the bosom of Vishnu." Sri (the Goddess of Fortune) said: "I shall never turn my face from one who praises me every morning and evening with this hymn."